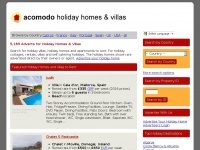 Acomodo Holiday Villas featrure adverts for holiday villas and cottages to rent. 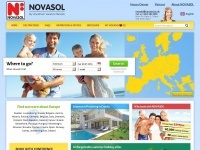 Holiday homes and holiday lets to rent direct from the owners in popular destinations Worldwide. Apartmentspain.org.uk - Holi­day Ren­tals Spain and Self Cate­ring Holi­day Ho­mes ..
Carbisbayholidays.co.uk - Cornwall holi­days in St Ives, lu­xury 5 star self ..